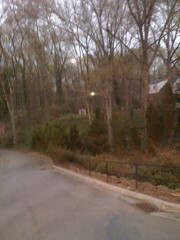 Hard to get a full shot of the full moon between trees. 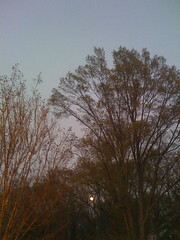 Big, bright moon — much bigger than the picture represents. 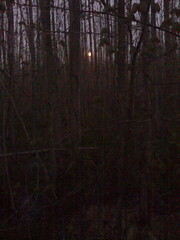 I thought it might get dark while I was in the woods. My dog was with me. 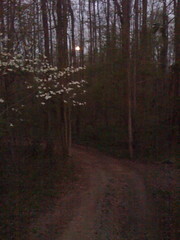 Just before dark. 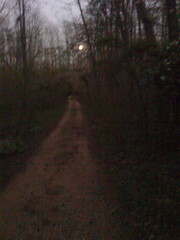 Going for a walk in the nature preserve behind Catawba. 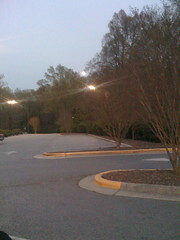 The full moon is way bigger than it looks in this iPhone pic. The streetlights seemed way smaller than they look here.